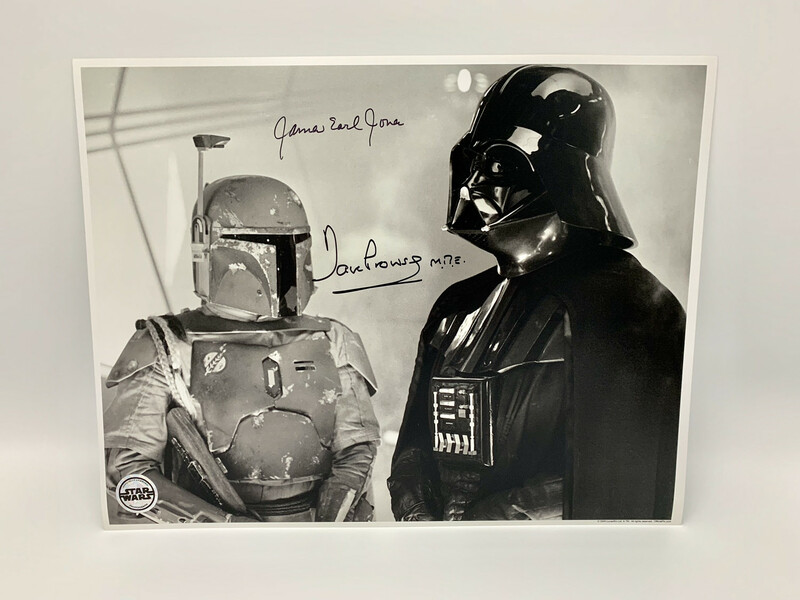 Huge 11x14 Darth Vader and Boba Fett photo signed by Dave Prowse and James Earl Jones. Dave and James Earl signed in black ink at our exclusive private signings. Both have now stopped signing, so this is a super rare piece double signed!